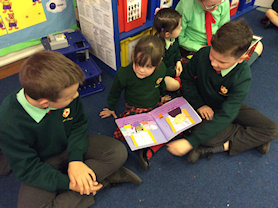 As part of World Book Day members of Year 6 visited the Reception class to share books with them. 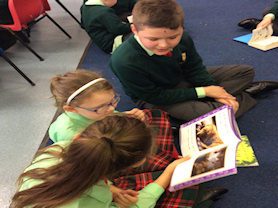 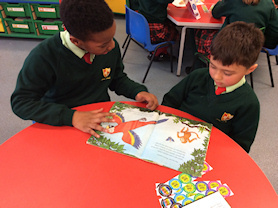 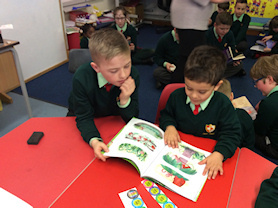 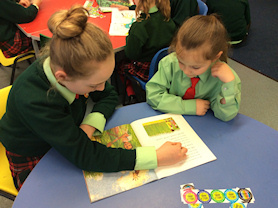 Year 6 enjoyed looking at the illustrations and reading stories to the younger children: while the Reception class children enjoyed having an older share a favourite story. 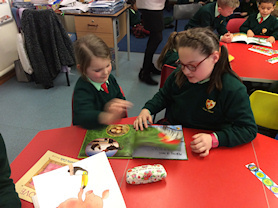 We don’t know who enjoyed this more!